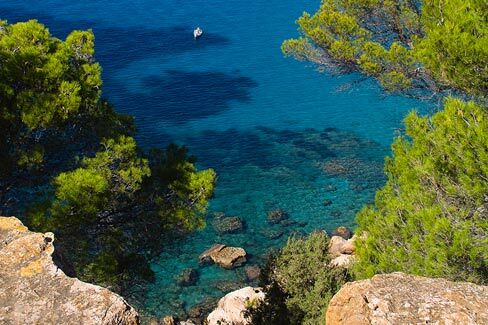 The beaches of Es Xarcu, Es Torrent, Es Cubells, Ses Boques, Cala Carbó and Cala d’Hort occupy the south-west coast of the Sant Josep area. Es Xarcu is a very small sailor spot formed by a closed and narrow little cove with many fishermen’s huts. 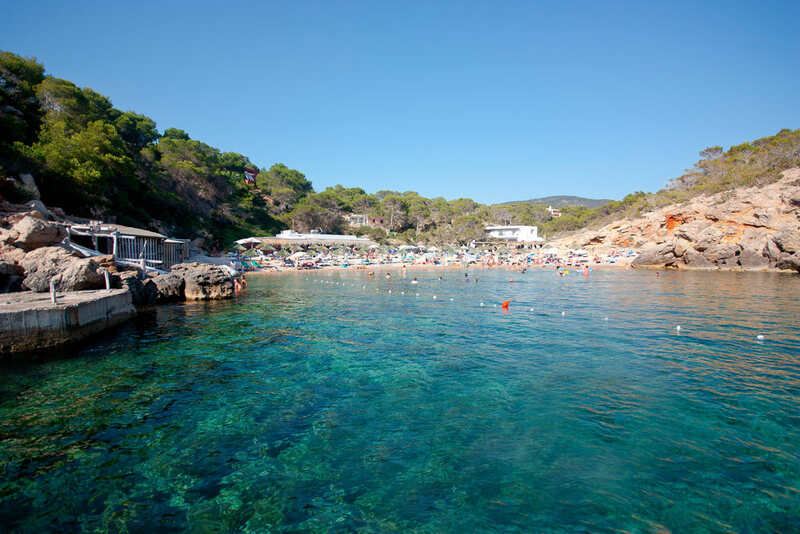 Es Torrent is a secluded cove with rocky and sandy parts, its waters are crystal clear. 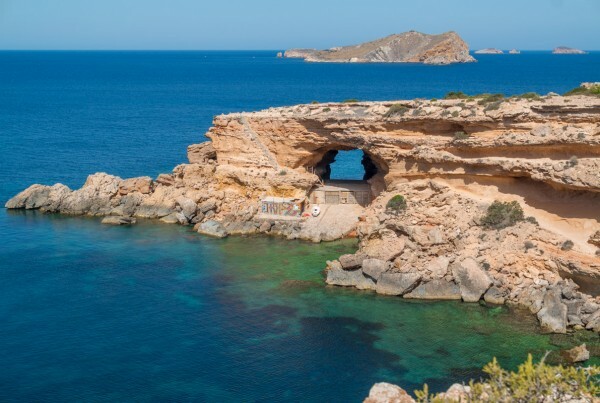 The beaches of Es Cubells and Ses Boques are located at the bottom of the cliffs of Es Cubells. The beach of Es Cubells consists of three small coves naturally divided by rocky formations. Ses Boques is a small rocky cove yet charming and very quiet. 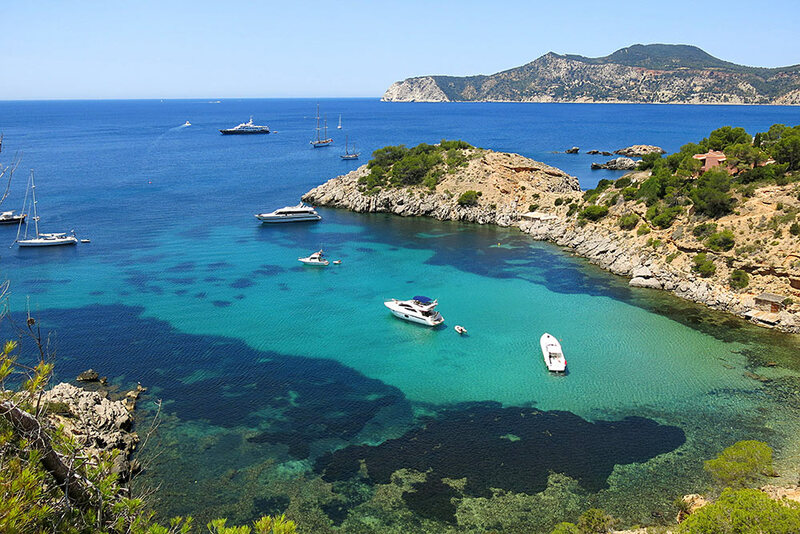 The most popular beach is Cala d’Hort, having white sand and crystal clear waters, and from where you can enjoy the stunning silhouettes of the islets of Es Vedrà and Es Vedranell. 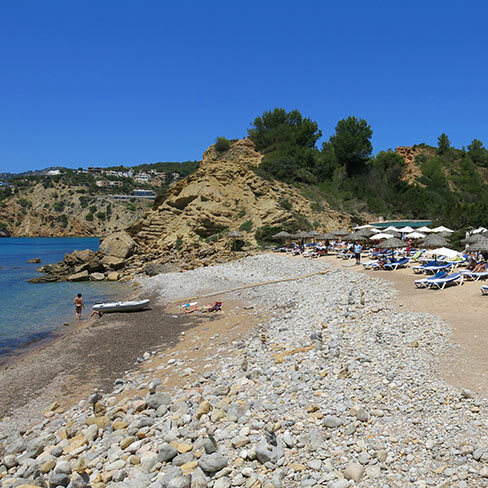 Following the coastline you’ll reach the beach of Cala Carbó, a quiet and little family cove, hidden in between pine forests. 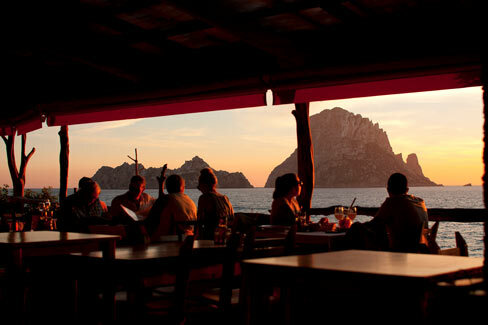 The area has some of the most popular beach restaurants and beach bars, serving fresh fish and tasty paellas and rice dishes. 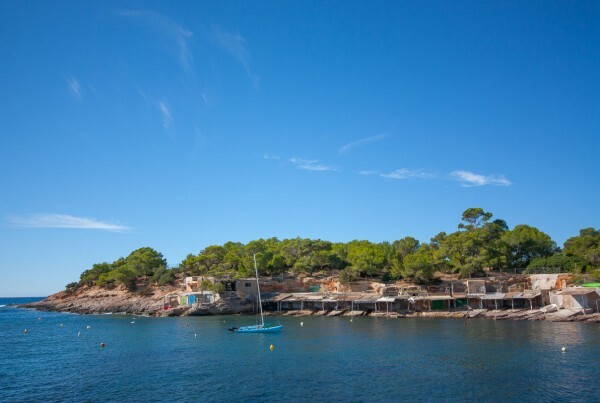 One of the places you can’t miss is the Porroig bay, that offers breathtaking views of the coast. 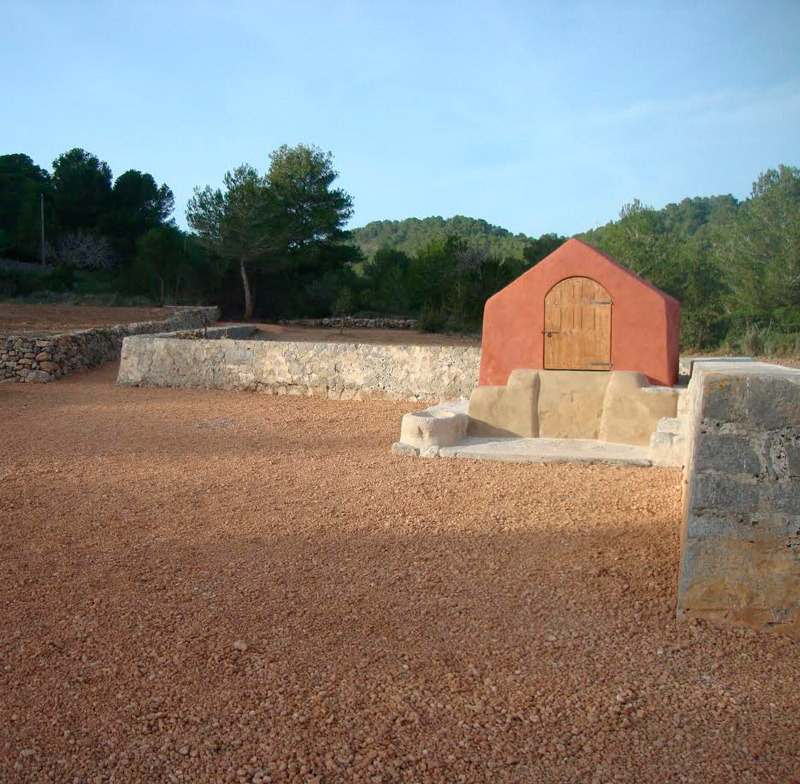 Would you like to visit the South-West area of Sant Josep? 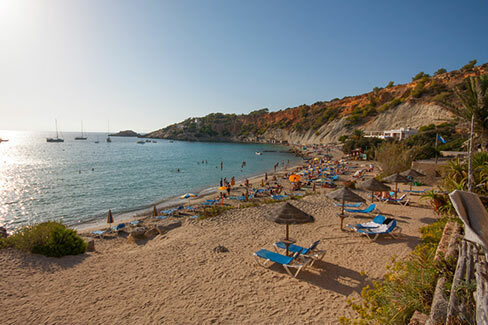 Share with your friends you’d love to spend your next vacation on the beaches of the south-west in Sant Josep. 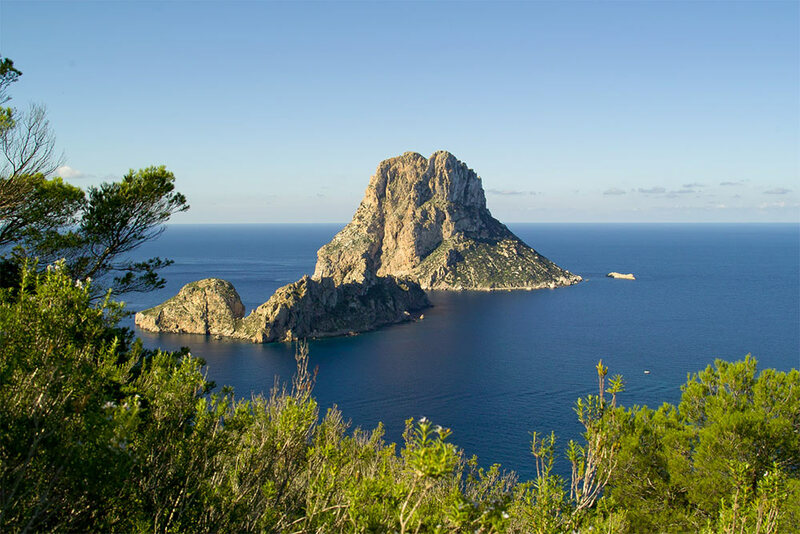 These islands belong to the natural reserve of Es Vedrà, Es Vedranell i els Illots Ponent, located off the west and southwest coast of the island of Ibiza. 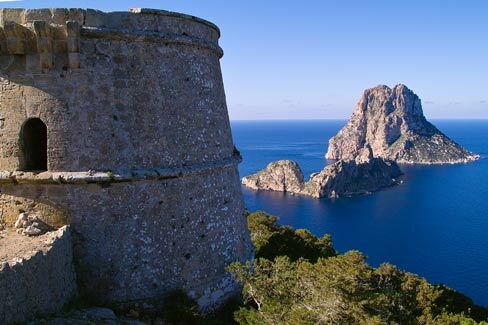 From the area of Cala d’Hort beach you can enjoy spectacular panoramic views. 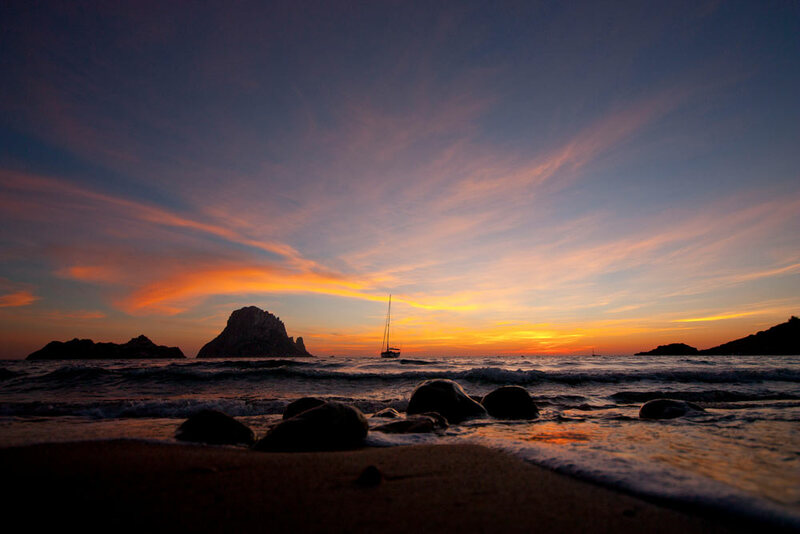 The silhouette of Es Vedra arising from the sea is one of the most iconic images of Ibiza. 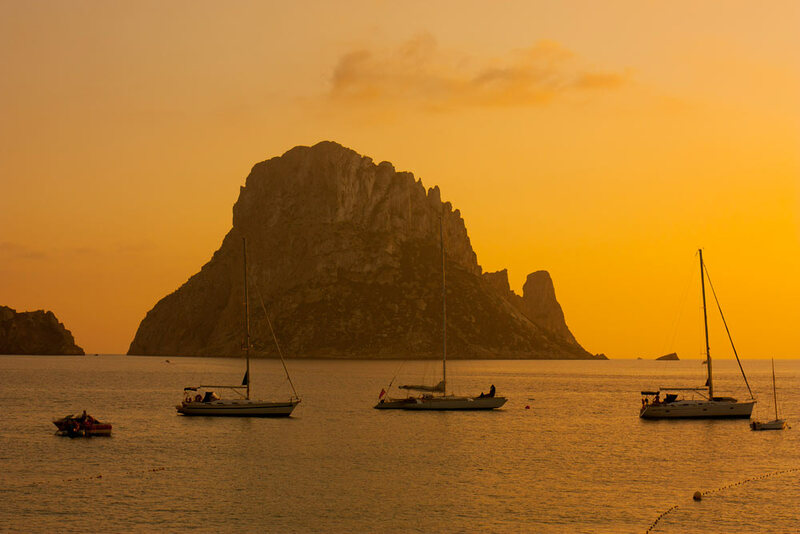 To watch the sunset with Es Vedrà in the background can be one of the most special experiences on the island of Ibiza. 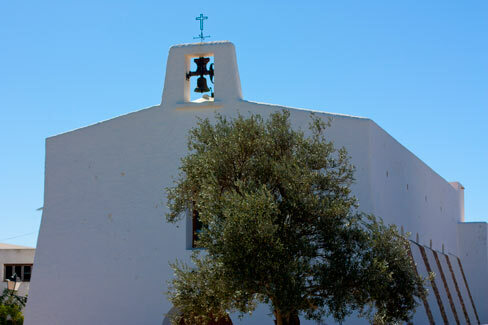 Es Cubells is one of the tiniest villages on the island, with an urban core formed by a church and two bars. It has a special charm. It’s located on the edge of a huge cliff. 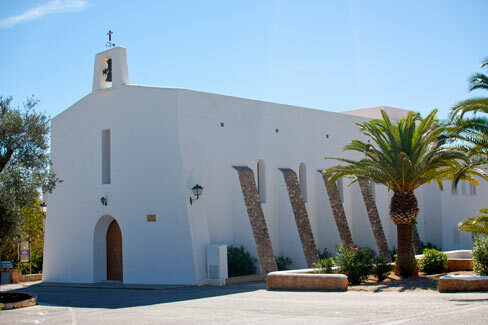 The church, small, whitewashed and with buttresses on the sides, it began giving service in 1864 and was built at the instigation of the Carmelite religious Francesc Palau. 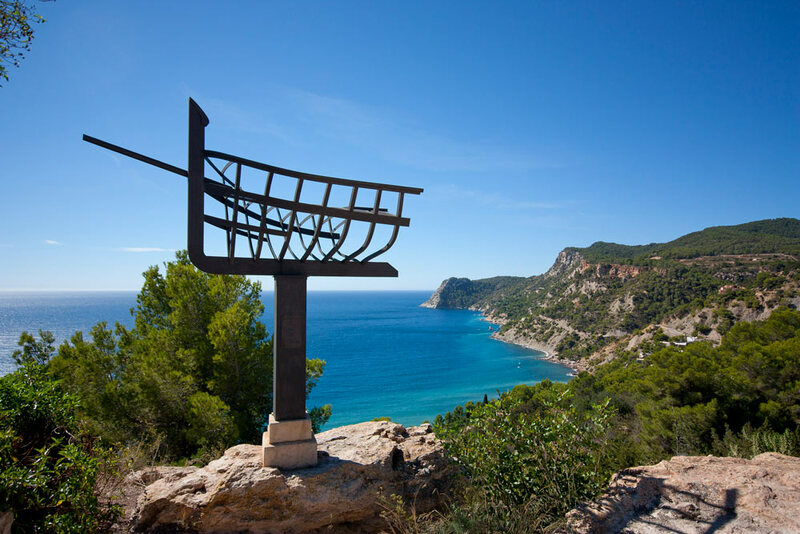 At the bottom of the cliffs of Es Cubells and in its surroundings you can find beautiful Fishermen’s beaches and coves, such as Ses Boques, Cala Llentrisca, Es Torrent and Porroig. 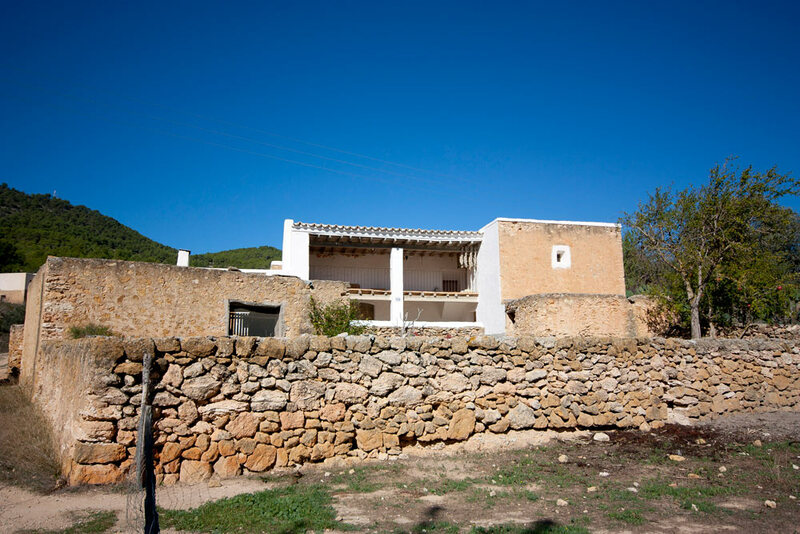 Want to discover more areas to visit? 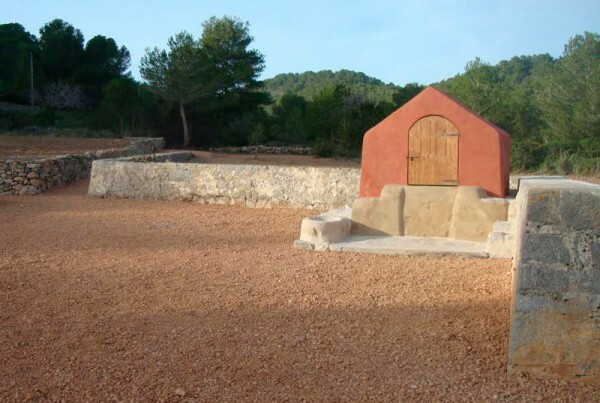 Take a trip to other areas in Ibiza Sant Josep.